Lehariya is a traditional design form that has its roots in Rajasthan. Lehariya pattern salwar kameez and sarees are made through a two-step process of tie and dye in which the cloth is tied first and then dipped in selected colors to form innovative artwork patterns. According to Rajasthani tradition, Lehariya is said to contain five colors that are a representation of the Rajasthani system of coloring. This colorful Rajasthani design form basically involves creating rippled flowering patterns on materials like chiffon and silk. When done on a white fabric, a Lehariya design looks elegant and classy. Now days, Lehariya design has become extremely popular among women because of its intricate work and glamour appeal. As such, Lehariya salwar kameez are becoming one of the most popular varieties of salwar kameez amongst women. 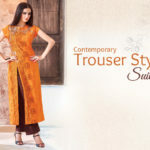 Nowadays, perhaps the most common and comfortable Indian outfit that is worn by people is salwar kameez. 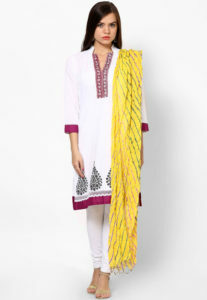 Known as a traditional outfit, a salwar kameez has its roots in Central and South Asia. Being worn by both men as well as women, a salwar kameez basically comprises of two pieces of garment, the salwar and the kameez. While the salwar are loose pajama like trousers that are wide at the top and narrow at the ankle, the kameez is a long tunic or short that mostly has a western style collar. There are many different varieties of salwar kamzee available in the market. 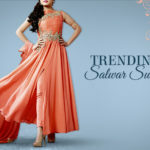 Ranging from the Lehariya salwar kameez to the Anarkali suit, one can opt for a variety of different styles when it comes to the salwar kameez. For instance, the Anarkali is one such variation of the salwar kameez. It consists of a long, frock-style top along with a slim fitted bottom and is usually worn during celebratory occasions. The most common materials used for an Anarkali are chiffon and net. Then there are three other variations of the salwar kameez that are based on the length of the kameez. 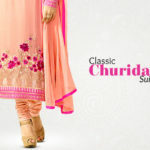 Depending on the length of the kameez, there are knee length, long length and full length variations of the salwar kameez. One more type of salwar kameez is known as the Patalia salwar kameez, which as the name suggests, originated from Patalia. 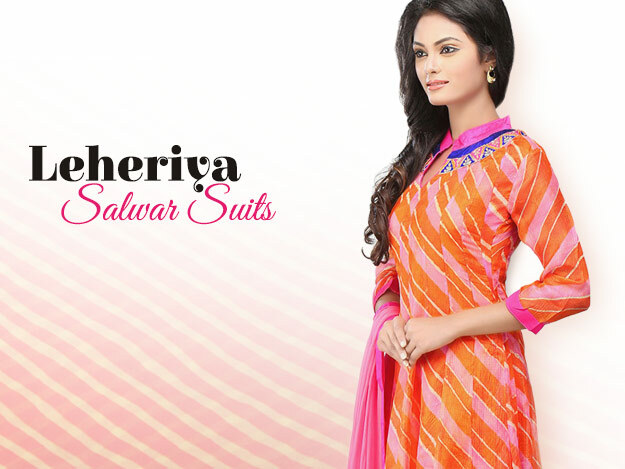 One more very popular variety of the salwar kameez is the leheriya salwar kameez. When skilled Lehariya craftsmen get to work, they are able to create an elegant, classy and vivid combination of striped patterns on materials like chiffon to create beautiful Lehariya sarees. Lehariya artwork results in diagonal patterns which present an aesthetic look to the garment. These sarees look ultra gorgeous at casual occasions. Those lovely patterns doubtle the grace of your pallu. Leheriya sarees are highly popular among Indian designers and even Bollywood celebrities. So, owning one or two is a cardinal rule for every Indian fashion lover. Although wearing a Lehariya salwar kameez and sarees are going to make sure that you look stylish and appealing, women can go for a more complete and fashionable look by pairing it up with other pieces of clothing and accessories. For starters, a Lehariya salwar kameez is going to look perfect with some oxidized silver jewelry like silver earrings. Also, since a Lehariya salwar kameez is mostly worn during the summers, pairing it up with some embroidered Kohlapuri sandals is going to make for comfortable and stylish look. Wearing light jewelry is also going to look great with a Lehariya salwar kameez. 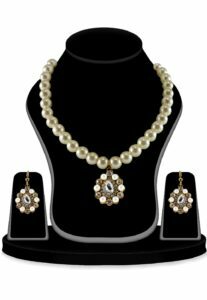 For instance, a silver bracelet embedded with gemstones or a simple crystal bead necklace is going to complete a Lehariya salwar kameez brilliantly. Women can also go for a contrasting look that is traditional and contemporary by pairing up their lehariya salwar kameez with some modern footwear. Finally, since a Lehariya salwar kameez is mainly worn during the festival of Teej, women should pair it up with some gold jewelry such as dangling gold ear rings and gold necklaces to go for the festive look. 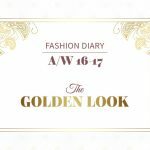 Trouser Style Suits Are Your Perfect Office Wear! 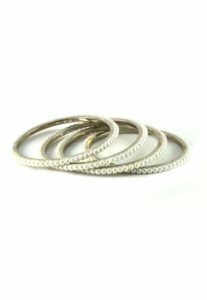 Prev postTo Those Pretty Bangles!